Carey Young, 2005. Signed inkjet prints with fingerprinting ink, pins, table and chair, invigilator. Paper size: 21 x 14.6 cm. This work is sited at the only entrance to an exhibition, in such a way that the visitor can also see into the show. 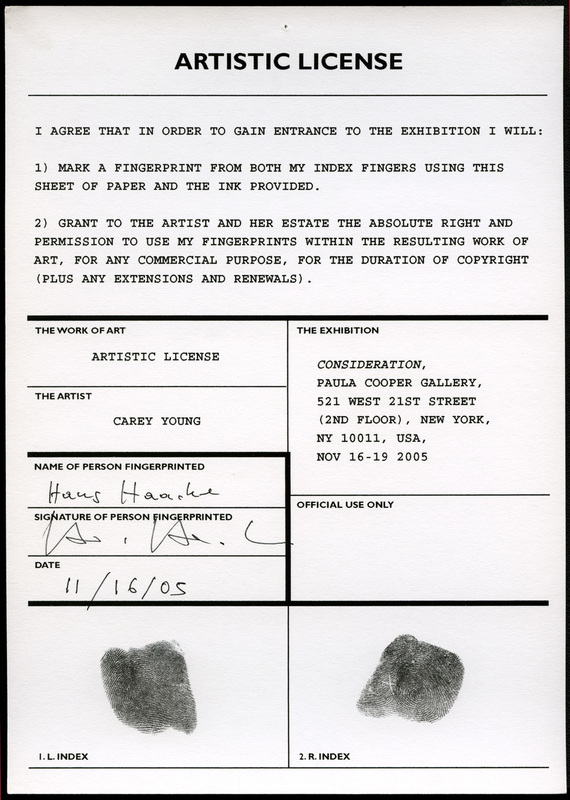 To access the exhibition, viewers approach an invigilator at a desk, who asks them to add their fingerprints to, and sign a form designed by the artist. The design of the form is based on a US immigration form. 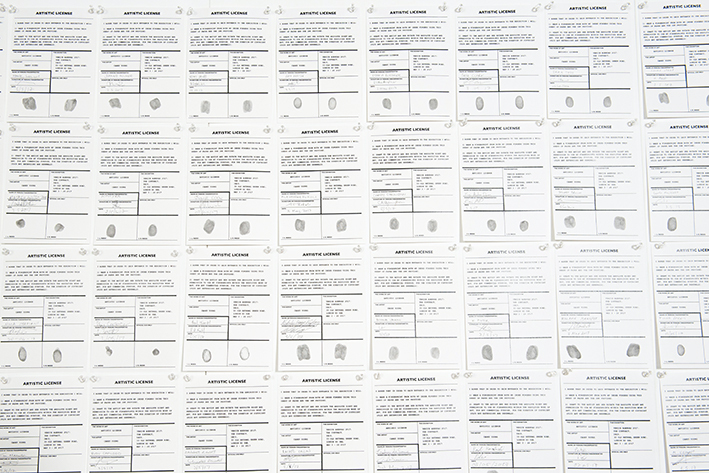 The wording states that the viewer agrees to give up the copyright of their fingerprints as printed on the form, and assigns this copyright to the artist. Completed forms are then displayed on a wall behind the invigilator so that they are not visible to the viewer until they have entered the gallery space. They form a complete record of the work and indeed of whom has seen the exhibition.